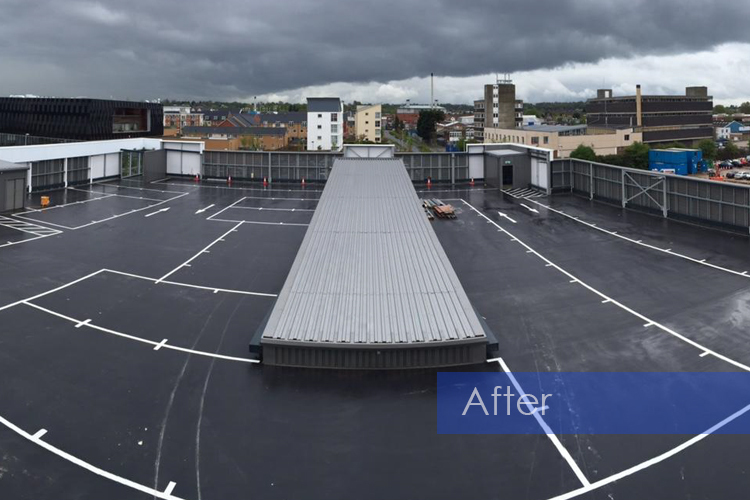 For both car storage and customer parking the new BMW Dealership in Reading, one of the largest in the UK, needed a new multi-storey car park. The Principal Contractor was The Clegg Group and they had erected the steel frame structure and concrete slabs to the decks. Both the top, exposed, deck and the lower deck needed coating with waterproof, decorative finishes. The original plan had been to apply elastomeric bands over all construction joints on the top deck, where movement was expected, and then overcoat the whole deck with Deckmaster System R. The lower deck was just to be coated with Deckmaster System R. Once the concrete decks had been mechanically prepared to remove any laitance on the concrete and expose the aggregate it became apparent that there was widespread cracking on both concrete decks. To overcome this problem the original plan to band over the construction joints was upgraded to banding construction joints where most movement would occur and also applying a thicker base coat of Deckmaster System R membrane, prior to installation of the finishing layers. Due to the severity of the cracking, this specification was adopted for both levels of the car park. 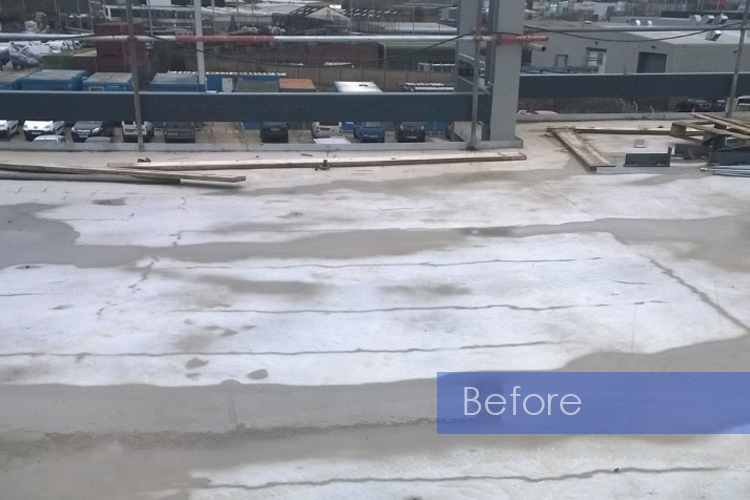 An additional challenge on this project was the installation programme that commenced in January when, quite literally, we had to scrape snow off the deck to commence the works. The issue over winter is not so much the temperature as the dampness of the deck in UK conditions. However, Deckmaster’s System R is bonded to the substrate with their moisture tolerant 2 pack epoxy, Deckmaster DPM/Bonder that may be applied to substrates as high as 98% RH, so CPC were able to progress the works where others would have had to wait for drier conditions. 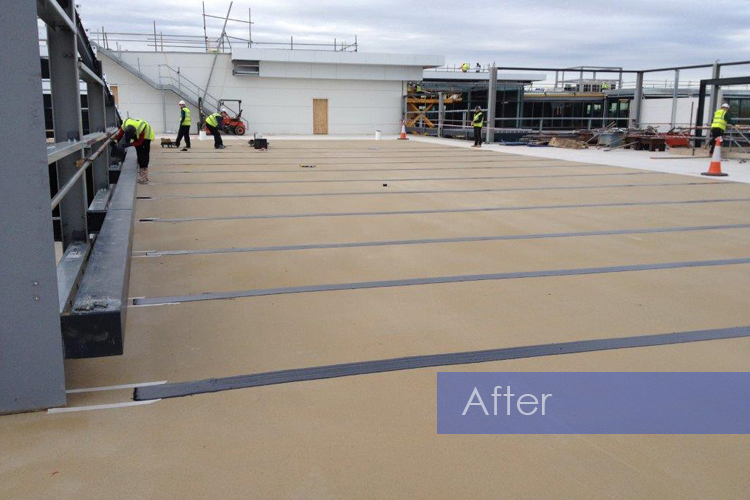 The job was completed in 2015 and is performing very well, with none of the cracking in the concrete reflecting through into the finished car park surface.